Owning a restaurant and planning for an upgrade? Looking up to enhance customer experience? Want the restaurant tasks to be managed easily? If that’s what you have been looking for, you are in the right place! A majority of the restaurateurs have been switching to POS systems for a smooth flow of their restaurant tasks. In fact, customers prefer the POS system while making the payments as it is an easy and time-saving solution. As per a recent survey, transaction Value in the Mobile POS Payments segment amounts to US$121,903m in 2018. With the rapid growth in the food industry, it’s great that you have planned for a POS system for your restaurant. But remember! it becomes difficult while looking up for a suitable vendor which will well suit your restaurant. There are chances that the vendor doesn’t has an experience and is new in the food business, or he is charging you higher costs, or the panel he offers you is a complex one. So, there could be thousands of reasons that the vendor is not fit for your restaurant. What would be your next action? What if we give you a list of points a POS system should include? Right, we have a list of questions which you must ask the vendor before finalizing a particular POS system for your restaurant. Remember, choosing the wrong product can cost you adversely. So, before you plan to make a decision, make sure you get a positive response to all the questions listed below! Remember, you and your staff will be using this POS system on a daily basis so the panel you get should be easy and reliable to use. The panel should be simply designed so that your staff members can manage the tasks easily and quickly. Otherwise, it would create problems for your restaurant instead of benefitting you. Free Demo/Trials: Ask the vendor if they are offering free demo or not. Get the free demo of around 15 days or 30 days they offer you, check if the POS system suits your existing system or not. Make the choice accordingly. And in case the vendor doesn’t offers any free trial, then definitely you can’t go ahead with this vendor. Search a new one! Customer Reviews: Hearing the features from the vendor will be of no use unless you are aware about his existing projects. Ask him to show you some existing clients feedbacks and reviews. The reviews customer shares will be of a good help to get an idea about the shortcomings and the plus points of the POS system. How do we examine the monthly sales? A POS system not limits to customer experience, instead it must offer services to the retaurant staff too. Being the Manager, you are always curious about your monthly or weekly sales. Right? You can get it by simply a click on the screen. But the vendor you are choosing, is it offering this feature or not? A perfect POS system must be able to access monthly, weekly, or daily, sales report and display you over the screen in a clear format. How does your POS system work? Will the system slow down during peak hours? Does the system stores staff information or not? In which format will I receive the sales reports? Does the system has regular updates? How does your system safeguard the customer information? Does your system offer 24/7 support services? Considering expenses is one of the important factors to be kept in mind. Getting a POS system deployed at the cheapest price can be a big mistake of yours. Nor we can go for a vendor who is offering ordinary services at very high cost. There are options available in the industry which offers you the best POS solutions on a budget that you can easily afford. Now that you are aware of all the features your POS must contain, you are ready to step out in the market. Ask these questions to the vendor, get them clarified and then take a decision. 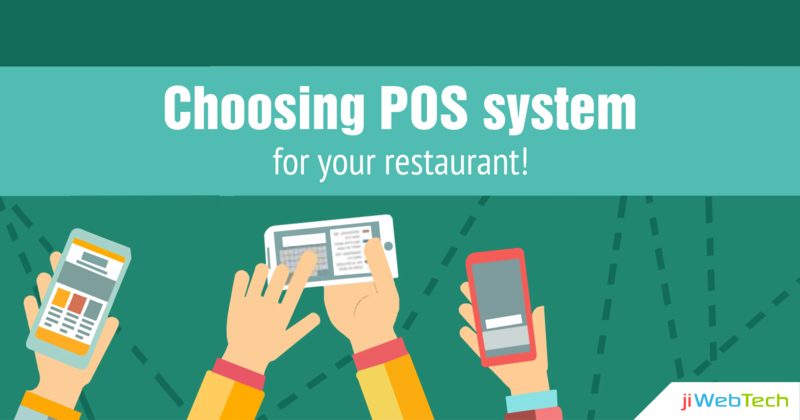 Getting a POS system is one-time investment and you can’t risk it putting into wrong hands. Choose the suitable one for the better management of your restaurant!